For all the turmoil that roiled financial markets during the Great Recession and its aftermath, Wall Street forecasts once again turned bullish and corporate profitability soared to unprecedented heights. How does capitalism consistently generate profits despite its vulnerability to destabilizing events that can plunge the global economy into chaos? 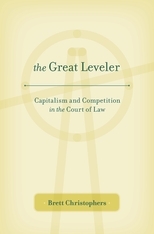 The Great Leveler elucidates the crucial but underappreciated role of the law in regulating capitalism’s rhythms of accumulation and growth. Brett Christophers argues that capitalism requires a delicate balance between competition and monopoly. When monopolistic forces become dominant, antitrust law steps in to discourage the growth of giant corporations and restore competitiveness. When competitive forces become dominant, intellectual property law steps in to protect corporate assets and encourage investment. These two sets of laws—antitrust and intellectual property—have a pincer effect on corporate profitability, ensuring that markets become neither monopolistic, which would lead to rent-seeking and stagnation, nor overly competitive, which would drive down profits. Christophers pursues these ideas through a close study of the historical development of American and British capitalist economies from the late nineteenth century to the present, tracing the relationship between monopoly and competition in each country and the evolution of legal mechanisms for keeping these forces in check. 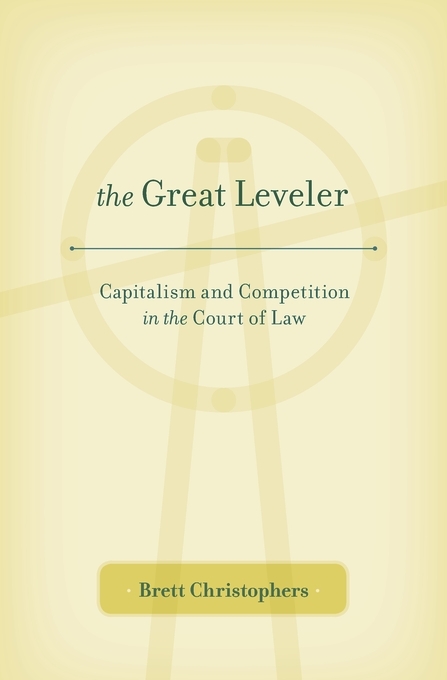 More than an illuminating study of the economic role of law, The Great Leveler is a bold and fresh dissection of the anatomy of modern capitalism.